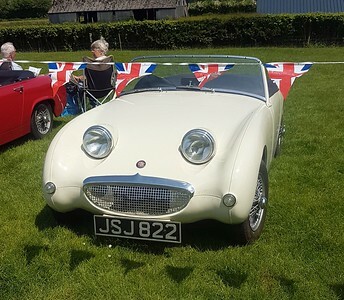 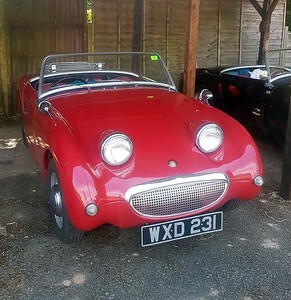 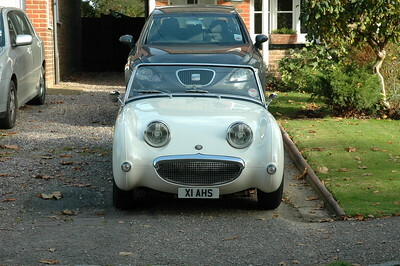 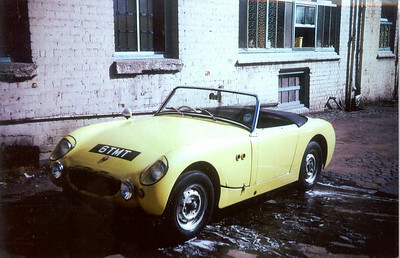 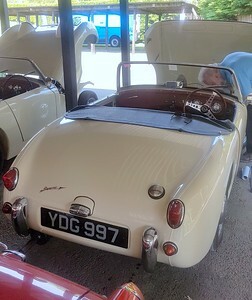 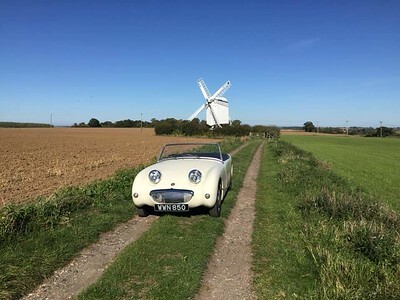 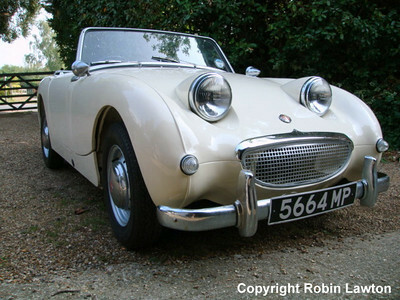 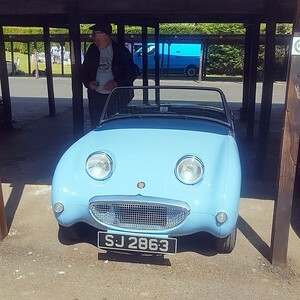 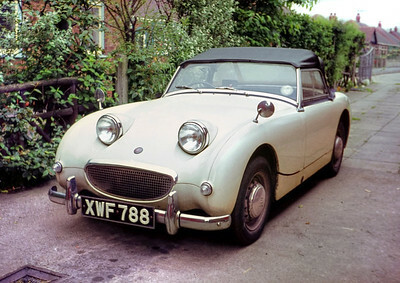 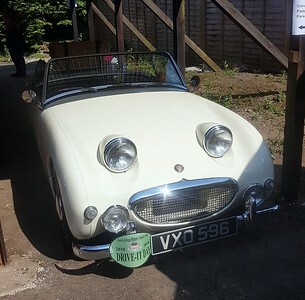 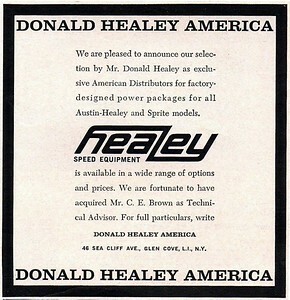 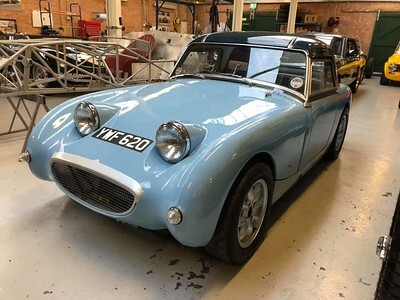 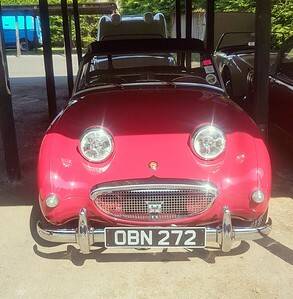 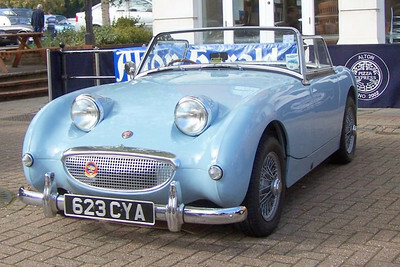 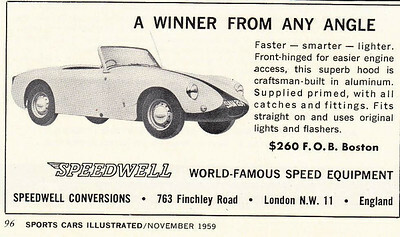 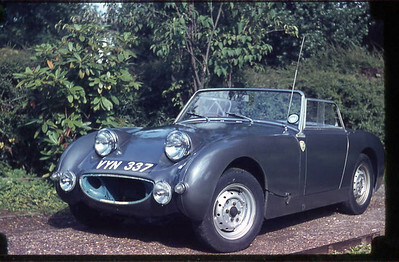 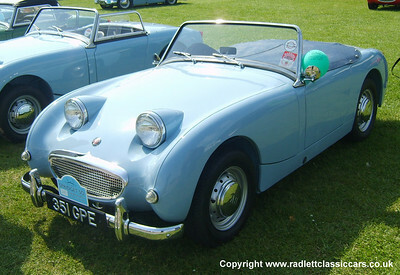 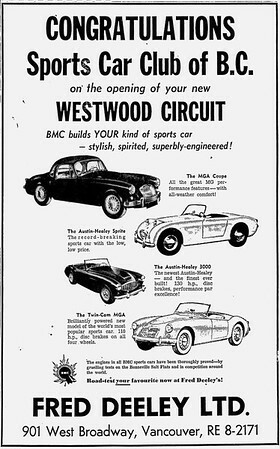 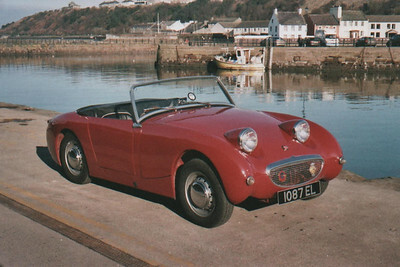 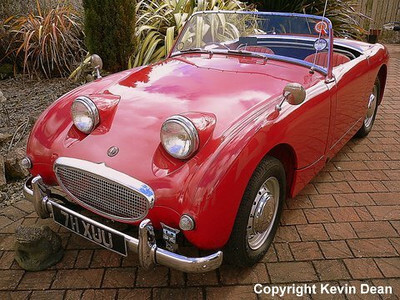 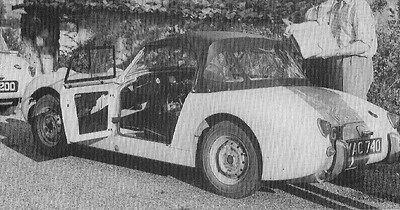 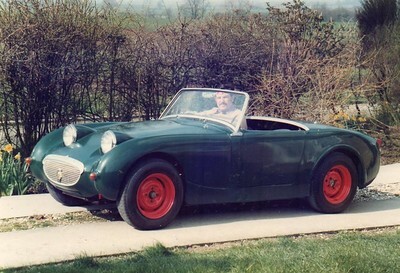 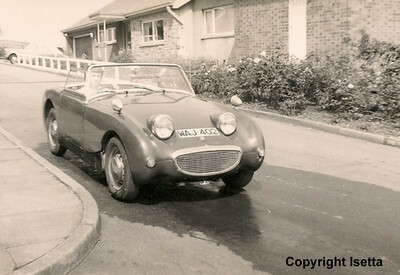 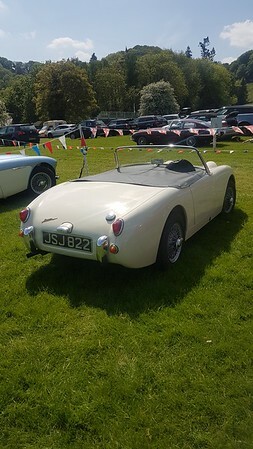 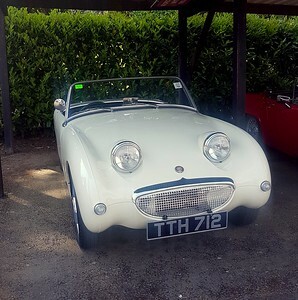 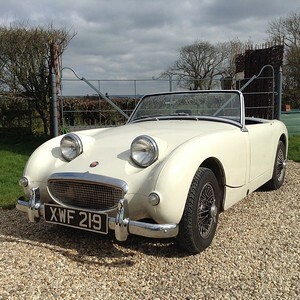 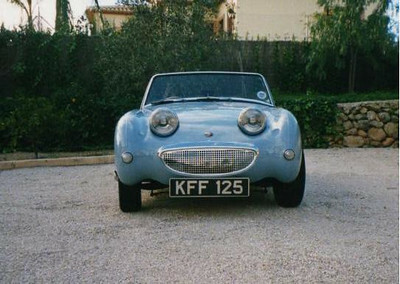 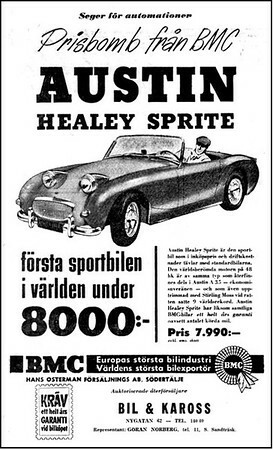 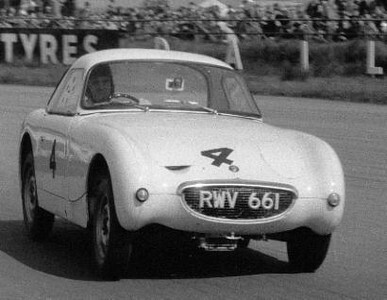 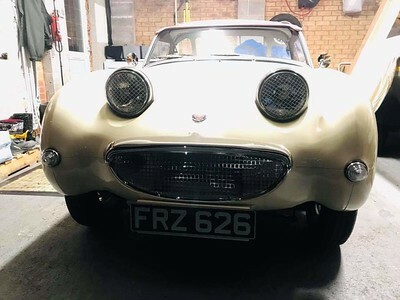 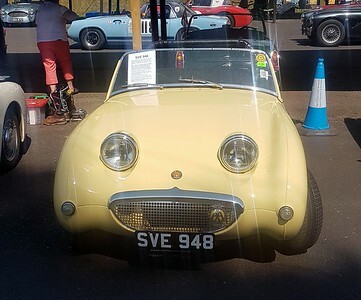 I have a passion for Austin Healey Mk1 Sprites and for seventeen years owned a 1958 Frogeye Sprite named "Gaps" due to it's poor panel fit. 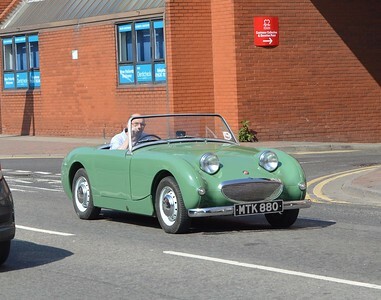 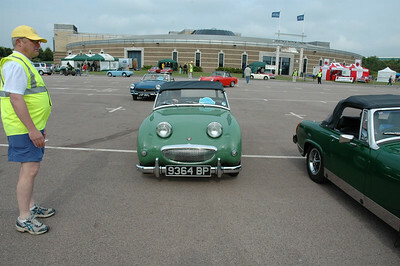 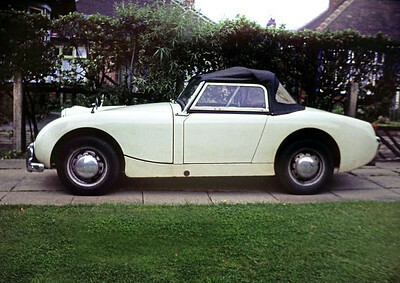 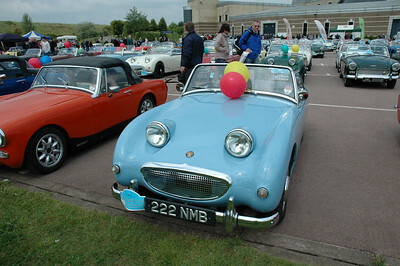 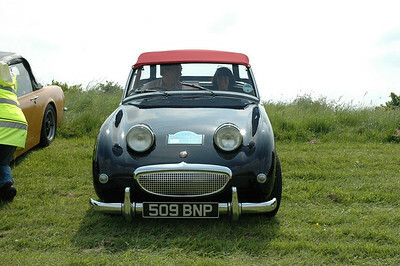 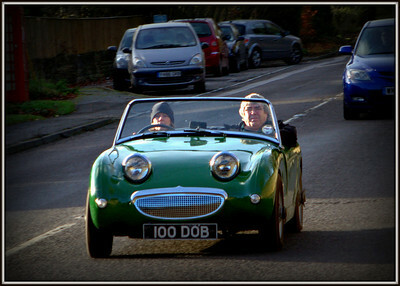 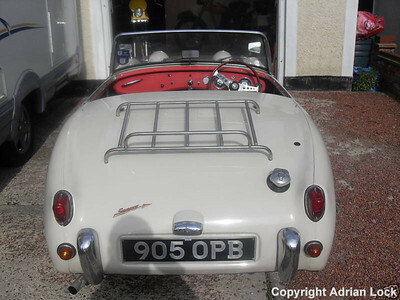 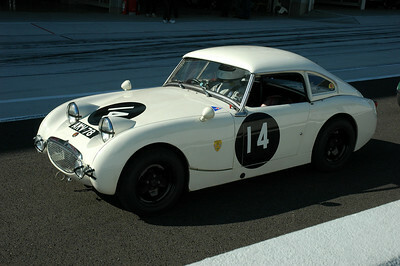 My newer Mk1 Sprite (with much better panel gapes) is now generally known as "Gapless". 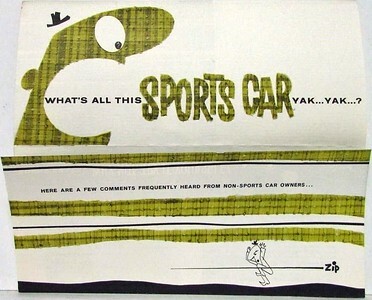 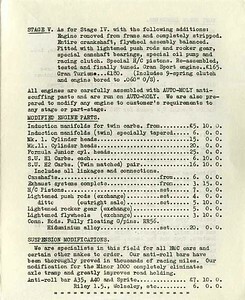 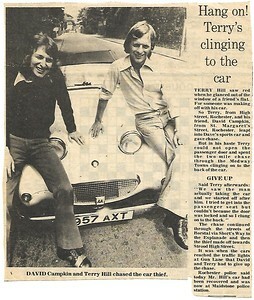 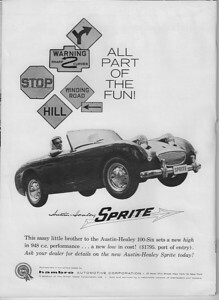 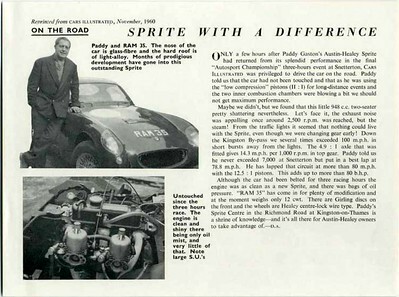 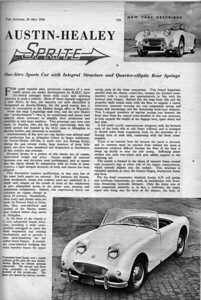 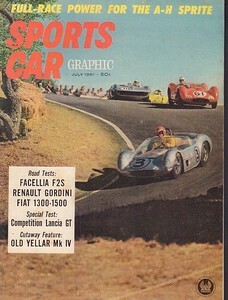 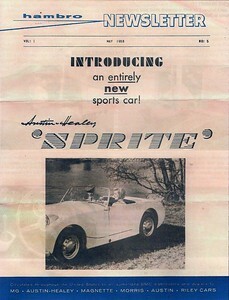 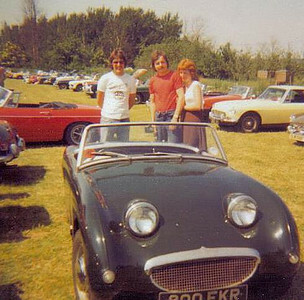 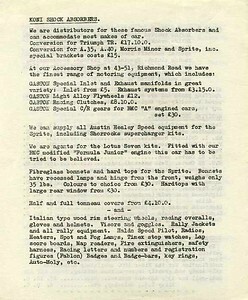 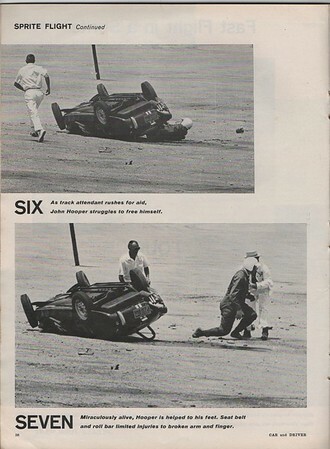 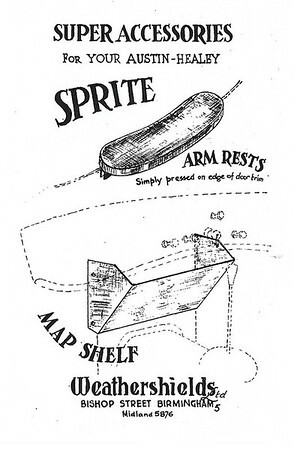 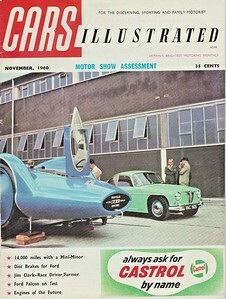 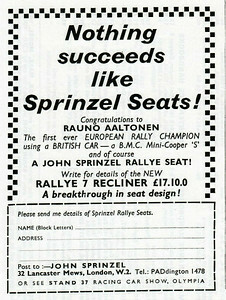 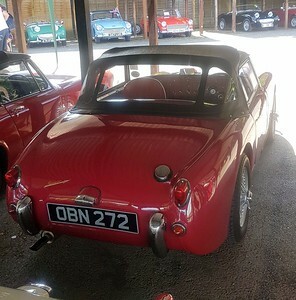 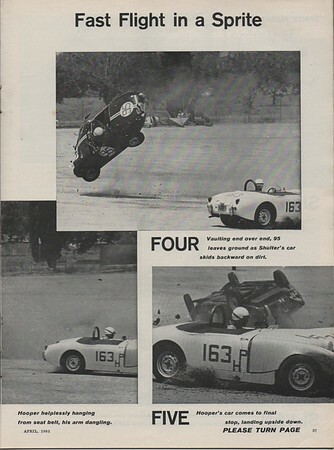 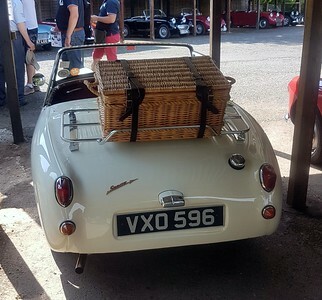 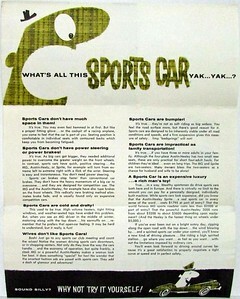 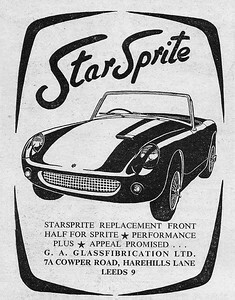 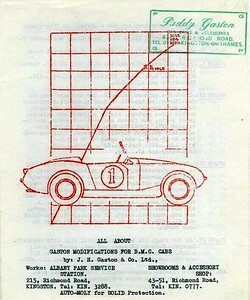 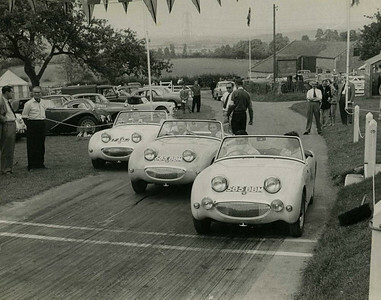 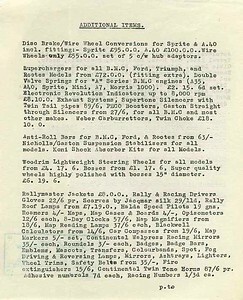 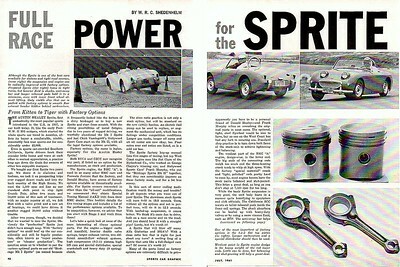 In addition, I was the editor of the Midget & Sprite Club's monthly magazine "Mascot" for nine years as well as being the Mk1 Sprite registrar and one of the club's committee members. 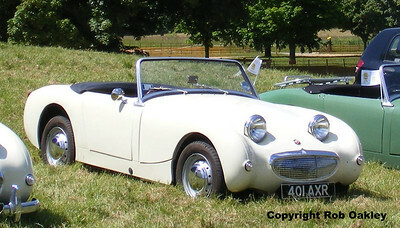 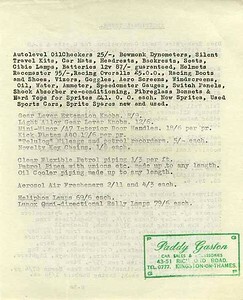 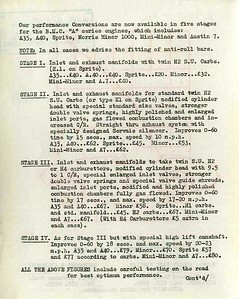 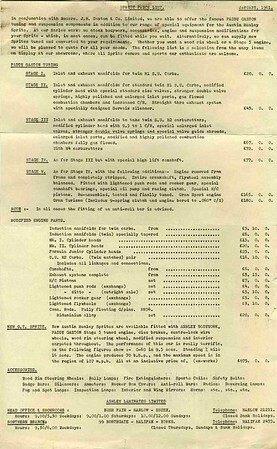 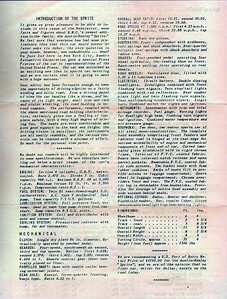 Copyright for all images remains with the original owner and their inclusion is hereby acknowledged. 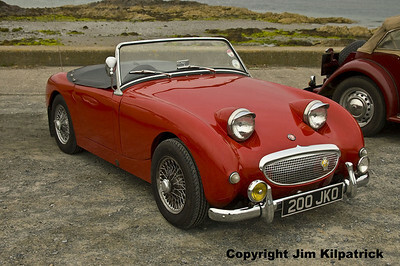 It is expressly forbidden to lift images from this website without prior consent from myself and the website owner.